Olivia Billard is an 18 year old girl who has spent the last 10 months battling cancer. 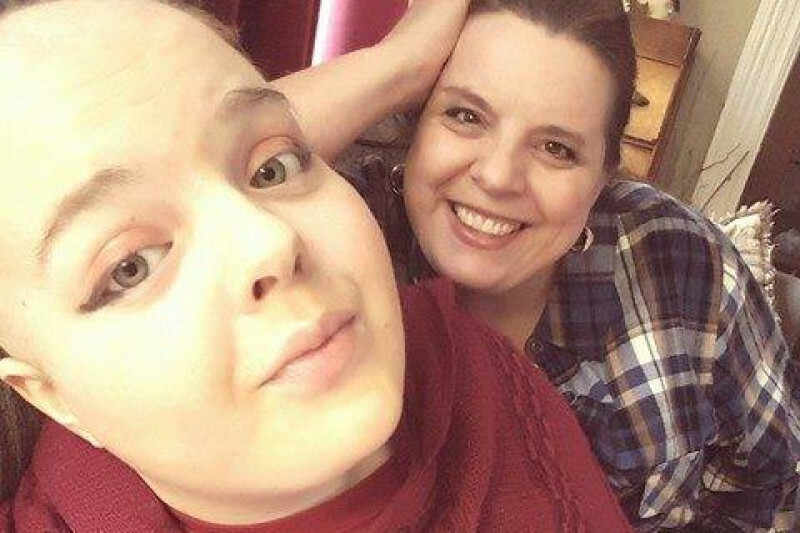 In September she was diagnosed with Osteosarcoma, an aggressive form of bone cancer. She has undergone intense chemotherapy at an extremely high dosage in order to fight the tumor growing rapidly in her left arm. In January, Olivia underwent surgery. The tumor was removed, but the humerus, the main bone in her upper arm could not be saved. A metal rod has replaced that bone. Olivia’s tumor was removed in its entirety, but her life is forever changed. At the present time, she has about 10% function in her arm. On July 23rd the Children’s Wish Foundation will be granting Olivia and her mom a trip to New York City. We would like to raise money so that Olivia can make the most of this special time. Since surgery, Olivia cannot fit into most of her clothes, as she now needs larger sizes in order to move her arm into her sleeve. Some of her clothes will require alterations, to allow for snaps or Velcro. The tumor in Olivia’s arm destroyed much of the nerve function that controls her hand. She is unable to dress herself, having lost the fine motor skills in her left hand. Simply put, Olivia needs a whole new wardrobe as well as specialized tools to assist her in the daily activity of normal life. She will be continuing with physiotherapy to try to recover some of her arm function, but she will never be able to lift her arm above her head or throw a baseball. In addition to Olivia’s practical needs, her spirits have taken a real beating. All of Olivia’s chemotherapy took place in hospital, and she struggled with extreme nausea throughout treatment, and suffered every imaginable side effect. She could really use a few days of fun and pleasure, enjoying all that New York has to offer. Please consider contributing to her campaign, and in doing so, inject a little happiness into this sweet teenager’s life.